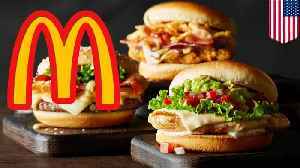 McDonald&apos;s is cutting its line of Signature Crafted Recipes from the menu. 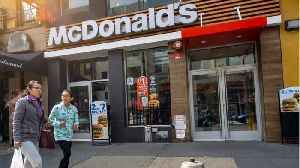 CHICAGO — McDonald's has announced it is simplifying it's already simple menu and ditching its craft burgers to focus on revamping its Quarter Pounder. According to Nation's Restaurant News,..
McDonald's is cutting its line of Signature Crafted Recipes from the menu. According to internal photos leaked to Business Insider, the chain plans to "phase out" the line of menu items before June..